Below are the detailed eligibility requirements for the various categories of the Ontario Immigrant Nominee Program (OINP). This stream targets foreign skilled workers with the necessary education, work experience, language proficiency, and other characteristics to establish economically and settle in the province of Ontario. To be considered under this stream, candidates must qualify for the Immigration, Refugees and Citizenship Canada's (IRCC) federal Express Entry pool through either the Federal Skilled Worker Program or the Canadian Experience Class. Candidates may not apply directly to this stream. Instead, they must first receive a Notification of Interest (NOI) from the OINP based on their Express Entry profile. Meet the criteria of Ontario’s Human Capital Priorities Stream (see below). Candidates identified by the OINP will receive an NOI, which will invite them to apply to the OINP for nomination under the Human Capital Priorities Stream. From this point, selected candidates have 45 days to apply to the OINP under this stream. If their application is approved, candidates will be notified of their nomination by the OINP, which they can accept and use to apply to IRCC for permanent residence. Candidates who choose to be assessed against the Federal Skilled Worker Program (FSWP) criteria must have at least one year of continuous and full-time employment experience, or part-time equivalent, in a National Occupation Classification (NOC) level 0, A, or B occupation in the five years prior to the date of the NOI from the OINP. In addition to the minimum eligibility requirements listed above, candidates applying to the Ontario Express Entry: Human Capital Priorities Stream through the FSWP must score at least 67 out of 100 points based on the IRCC's six selection factors: English and/or French skills, education, work experience, age, arranged employment in Canada, and adaptability. Candidates should note that the OINP will only consider arranged employment in Ontario. Arranged employment in any province other than Ontario would contradict the candidate's statement of intent to reside in Ontario and result in a denial of the application to the OINP. You currently work in Canada on a temporary work permit. You are working for an employer named on your work permit who has made a permanent job offer based on you being accepted as a skilled worker. Your current employer has made a permanent job offer based on you being accepted as a skilled worker. The employer has a positive LMIA from Service Canada. Points under Factor 5: Arranged Employment. The candidate completed at least two academic years of full-time study (in a program of at least two years in duration) at a secondary or post-secondary school in Ontario. Full-time study means at least 15 hours of classes per week. Candidates must have remained in good academic standing (as defined by the school) during the period of full-time study in Ontario. The candidate's spouse or common-law partner completed at least two academic years of full-time study (in a program of at least two years in duration) at a secondary or post-secondary school in Ontario. Full-time study means at least 15 hours of classes per week, and the spouse or common-law partner must have remained in good academic standing (as defined by the school) during the period of full-time study in Ontario. The candidate's spouse or common-law partner completed a minimum of one year of authorized, full-time work in Ontario. The candidate's spouse or common-law partner’s level of language proficiency in either English or French is at the CLB 4 level or higher in all four language abilities (speaking, listening, reading and writing). Meet the minimum language level of CLB 7 for NOC 0 or A jobs OR CLB 5 for NOC B jobs. Note: The Human Capital Priorities Stream requires ALL applicants to have language level of CLB 7 in English or French regardless of occupation. Note: Planning to live outside of Ontario can be deemed to contradict the candidate's statement of intent to reside in Ontario. This can result in the refusal of his or her application to the OINP. This stream targets French-Speaking skilled workers with strong English language abilities looking to establish themselves and settle in the province of Ontario. The OINP searches the Express Entry pool and identifies potential candidates who meet the criteria of Ontario’s French-Speaking Skilled Worker Stream (see below). Candidates identified by the OINP will receive an NOI, which will invite them to apply to the OINP for nomination under the French-Speaking Skilled Worker Stream. From this point, selected candidates have 45 days to apply to the OINP under this stream. If their application is approved, candidates will be notified of their nomination by the OINP, which they can accept and use to apply to IRCC for permanent residence. These levels are Canadian Language Benchmark (CLB) 7 in French and CLB 6 in English. Possess sufficient funds to cover settlement costs in Ontario. This must be supported by bank statements. In addition to the minimum eligibility requirements listed above, candidates applying to the Ontario Express Entry: French-Speaking Skilled Worker Stream through the FSWP must score at least 67 out of 100 points based on the IRCC's six selection factors: English and/or French skills, education, work experience, age, arranged employment in Canada, and adaptability. Note: The French-Speaking Skilled Worker Stream requires ALL applicants to have language level of CLB 7 in French and CLB 6 in English regardless of occupation. As of May 9, 2016, there is a temporary pause on the intake of applications to the Employer Pre-screen application process. Foreign skilled workers with job offers that have already been approved by the OINP may continue to submit a Nominee Application. The OINP General Category targets foreign skilled workers with job offers who want to settle permanently in the province of Ontario. For a nomination certificate to be issued under this category, both the employer and the foreign national must submit an application to show that eligibility requirements are met. Eligible employers are required to first submit a Pre-screen Application to OINP to have the position they want to fill approved. If the OINP approves this application, the prospective nominee (the foreign worker the employer is seeking to recruit), must submit a Nominee Application within 60 days of the approval of the Pre-screen Application. Have at least five permanent full-time employees. Have at least three permanent full-time employees. Employers inside the GTA can request one position for every five full-time employees while employers outside of the GTA can request one position for every three full-time employees. Regardless of the number of positions an employer is seeking to fill, he or she must only complete one Pre-screen Application form. Employers are limited to a maximum of 20 position requests per calendar year. The position itself must be necessary for the company’s operations. As of May 9, 2016, there is a temporary pause on the intake of applications to the Employer Pre-screen application process. International students with job offers that have already been approved by the OINP may continue to submit a Nominee Application. For a nomination certificate to be issued under this category, both the employer and the international student must submit an application to show that eligibility requirements are met. Eligible employers are required to first submit a Pre-screen Application to OINP to have the position they want to fill approved. If the OINP approves this application, the prospective nominee (the international student the employer is seeking to recruit), must submit a Nominee Application within 60 days of the approval of the Pre-screen Application. The program of study must have been at least two years in length, OR a one -year post-graduate certificate program, which requires a previous degree or diploma. The previous degree or diploma may have been obtained outside Canada. The job offer must meet the entry-level wage levels in Ontario for that occupation. Note: the job need not be in the same field as the degree or diploma. Apply within two years of the date on which they received their Canadian degree or diploma. This stream gives students who have graduated with a Master's degree from an eligible publicly funded university in Ontario an opportunity to immigrate permanently to Ontario, without the requirement of a job offer. Applicants currently residing in Canada, but outside of Ontario, do not qualify. Not intend to pursue further academic studies in Ontario. The required savings to be used as settlement funds mentioned in the above list must be equal to or greater than the sums listed below for each family size. Requirements for settlement funds are updated annually. Note that the number of family members includes both accompanying and non-accompanying dependants. This stream gives students who have graduated from a PhD program at an eligible publicly funded university in Ontario an opportunity to immigrate permanently to Ontario, without the requirement of a job offer. At least two years of PhD studies must have been completed at the Ontario university. Have legal status (i.e. study permit, work permit, visitor record) if living in Canada at the time of the application. Applicants to this stream need not be in Canada at the time of application. The Ontario Immigrant Nominee Program (OINP) Entrepreneur Stream is designed to attract individuals who are looking to implement a new business initiative or buy an existing business in Ontario. Successful applicants will obtain a temporary work permit support letter — based on a performance agreement — to establish the business in Ontario. If the investment and job creation agreements outlined in the performance agreement are adhered to, entrepreneurs will have the opportunity to be nominated by the OINP for Canadian permanent resident status. The OINP Entrepreneur Stream operates on an 'Expression of Interest' model, whereby eligible participants must be invited to apply before they may submit a complete application. If the applicant has experience as both a business owner and a senior manager, he or she must choose only ONE to use for the EOI and for the application. For businesses located within the Greater Toronto Area (GTA), applicants must have a minimum net worth of $1,500,000. For businesses located outside the GTA, applicants must have a minimum net worth of $800,000. For businesses in the ICT/Digital Communications sector (regardless of where it will be located), applicants must have a minimum net worth of $800,000. Applicants must provide a third party verification report, prepared by an authorized service provider, in order to demonstrate their net worth. If the proposed business will be located within the GTA, applicants must make a minimum personal investment of $1,000,000. If the proposed business will be located outside the GTA, applicants must make a minimum personal investment of $500,000. If the proposed business will be in the ICT/Digital Communications sector (regardless of where it will be located), applicants must make a minimum personal investment of $500,000. If purchasing an existing business, the applicant must create two new full-time permanent positions in addition to the current staff. Applicants who purchase an existing business must make at least one business-related visit to Ontario in the 12 months prior to submitting the Expression of Interest. NOTE: If the applicant is applying with a Business Partner who is also seeking nomination, both the applicant and the partner must individually meet all the minimum requirements listed above. Proof of ownership and either a letter of intent to purchase the business or sale agreement is required. The proposed business plan must demonstrate that the applicant intends to grow the business. Applicants must meet the following requirements in order to be nominated once they have established the business and met the performance agreement. Successfully obtaining a nomination certificate allows applicants to make an application for Canadian permanent residence. Applicants must only meet these criteria when they apply for nomination after the business has been established, not when applying to the Entrepreneur Stream. Applicants must demonstrate official language proficiency at a Canadian Language Benchmark (CLB) 5 level or equivalent. To meet the active management requirements of the program, applicants must be physically residing in Ontario for 75 percent (nine months out of the year) of the period in which they are establishing the business in Ontario (i.e. the performance agreement period). Ontario will not process applications where there is a risk of little to no long-term economic benefit to the province. Consequently, the proposed business cannot be included in the following list of ineligible businesses. An EOI is not an application, but rather an expression of the candidate's interest in participating in the OINP Entrepreneur Stream. If an individual is invited to apply based on his or her EOI, he or she may submit a complete application to the Entrepreneur Stream. The EOI model functions on a self-declared points-based system, therefore applicants may claim a score based on the scoring information provided below. The total score will determine whether or not the applicant may receive an Invitation to Apply under the OINP Entrepreneur Stream. Applicants can claim points for factors under three categories: Experience, Investment and Human Capital. The maximum score available is 160 points. Individuals may claim points based on business experience. The number of points is based on the individual's past business ownership experience OR senior management experience in the 60 months prior to submitting an EOI. If the individual has both business ownership and senior management experience in 36 of the past 60 months, he or she must choose one of these experiences in the EOI. As mentioned in the minimum eligibility requirements section above, there is a minimum requirement of 36 months of experience to be eligible for the Entrepreneur Stream. If the applicant has a Business Partner, the partner must also have a minimum of 36 months of experience in the last 60 months. Individuals claiming points under this factor must have owned at least 33.3 percent of the business during the period claimed as the length of experience. It must also be demonstrated that they held an active role in the business, meaning that the individual was personally involved in the day-to-day operations of the business and had direct involvement in decision-making. The Senior Manager role must have included senior decision-making responsibilities in areas such as operations, sales, finance, marketing, distribution, human resources, research and development, etc. Individuals may claim points based on their past specific experience in a high growth business and/or in an export trade business. High Growth Business Experience: experience in a business that experienced at least 20 percent increase in revenue for two consecutive years. Submission of supporting documentation (e.g. financial statements) is mandatory if the individual is invited to apply. Export Trade Business Experience: experience in a business exporting at least 20 percent of total goods/services to a foreign market. Submission of supporting documentation (e.g. financial statements with export declarations, purchase orders, invoices) is mandatory if the individual is invited to apply. Business owners who can provide supporting documentation verifying that their business was a high growth business or an export-trade business may claim these points. Senior managers who can provide a reference letter from the employer and/or other supporting documentation indicating that their role in the business had a direct decision-making authority or a direct impact on the high growth activity/activities of the business may claim these points. Personal net worth must be legally obtained and verifiable. Personal net worth includes all assets and those of the applicant's spouse or common-law partner, less any liabilities including mortgages and personal debts. Net worth must be in the applicant's and his or her spouse/common-law partner’s name. As mentioned in the minimum eligibility requirements section above, there is a minimum requirement for personal net worth to be eligible for the Entrepreneur Stream, which varies according to where the proposed business will be located. If the applicant has a Business Partner, the partner must also meet the appropriate minimum personal net worth requirement. The minimum eligible personal investment must be derived from the applicant's personal net worth. Third parties may provide external financing beyond the minimum investment amount if they are a Schedule I or Schedule II bank or an institutional investor. Third-party personal investments are not permitted. Applicants cannot claim points for investments that will be made by a third-party. In order to be considered an eligible investment, the expenditure must be essential to the establishment and operation of a new business or to purchase, improve and operate an existing business. Note that improvement/expansion does not include regular operating expenses such as recurring inventory, wages, rent, utilities, or maintaining the same levels of marketing or advertising expenses, legal or professional fees, business licenses, etc. Wage payments made to the applicant him/herself and his/her family members. As mentioned in the minimum eligibility requirements section above, there is a minimum requirement for investment amount to be eligible for the Entrepreneur Stream, which varies according to where the proposed business will be located. If the applicant has a Business Partner, the partner must also meet the appropriate minimum investment amount requirement. 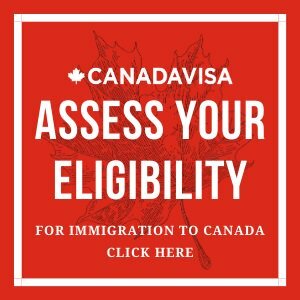 Applicants may claim points based on the total number of permanent full-time jobs they will create for Canadian citizens or permanent residents. Applicants must demonstrate that they will create at least two permanent full-time jobs for Canadian citizens or permanent residents in order to be eligible under the OINP Entrepreneur Stream, as mentioned in the above minimum requirements section. These jobs must be paid at the prevailing wage rate and must consist of a minimum of 1,560 hours of paid employment in a 12-month period. If the applicant has a Business Partner, he or she must also create two jobs, making a total of four new jobs for the proposed business. Applicants may claim points based on any business-related visits to Ontario made within the year prior to the EOI submission. There is no mandatory requirement for exploratory visits, unless the applicant is purchasing an existing business. Applicants may claim points if the proposed business is in a key sector, as determined by the government of Ontario. 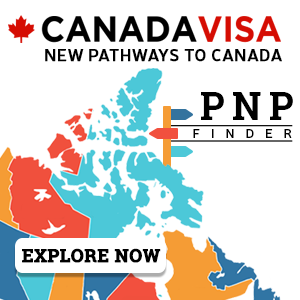 Applicants may claim points based on the NOC 0, NOC A or NOC B jobs their proposed business will create for Canadian citizens or permanent residents. Applicants may claim points based on their highest level of education completed. There is no minimum requirement to be considered for the Entrepreneur Stream. Applicants invited to apply who are claiming to have completed six months or more of post-secondary education will be required to provide evidence of this education, including Educational Credential Assessment (ECA) results. While it is not mandatory to demonstrate language abilities in English and/or French in to be considered for the Entrepreneur Stream at the time of submitting the EOI, language proficiency equivalent to Canadian Language Benchmark (CLB) 5 is required at the time of nomination by OINP. Applicants must demonstrate their language proficiency with either the International English Language Testing System (IELTS) General Test scores or Test d’Evaluation de Français (TEF). To learn more about CLBs and language ability, click here. Meeting all the minimum requirements does not guarantee that an applicant will be invited to apply to the OINP Entrepreneur Stream. There is no minimum score, as EOIs will be ranked against each other and only top candidates will be invited to apply. If an applicant is applying with a Business Partner, the final score will be calculated using the lowest submitted score of the two candidates. This final score will be used to rank the EOI against other EOI scores received. At the beginning of each Processing Period, a draw will occur, with only the top scoring EOI’s being selected for processing. Draws occur approximately every 120 days. The final “cut-off” score may vary between Processing Periods due to differences in scores submitted during respective months. EOIs not selected within 12 months from the date of receipt will be removed from the selection pool. Individuals will be able to re-apply to enter the selection pool after an EOI has been removed. The applicant (and Business Partner, if applicable) may be required to attend a mandatory in-person interview at OINP’s offices. The purpose of the mandatory interview is to get a better understanding of the business plan and past experience. The applicant (and Business Partner, if applicable) is responsible for all transportation arrangements and costs incurred associated with the interview. Performance Agreements are unique to each applicant and are based on the information provided in the application (including the EOI), the business plan, and the interview, if applicable. Applicants who fail to satisfy the business commitments outlined in the Performance Agreement will not be eligible for nomination for permanent resident status. Once the applicant (and his or her Business Partner, if applicable) have signed the agreement, OINP will issue a Letter of Confirmation so that he or she can apply to Immigration, Refugees and Citizenship Canada (IRCC) for a temporary work permit. After the Performance Agreement is signed, successful applicants must arrive in Ontario with their valid temporary work permit issued by IRCC within one year of the date of the Letter of Confirmation. After arrival in Ontario, individuals have up to 20 months to implement the business plan and meet all commitments under the Performance Agreement. Successful applicants are responsible for submitting a Final Report to the OINP between 18 and 20 months after their arrival in Ontario with a valid temporary work permit. The Final Report should demondtrate that the candidate has met all objectives set out in the Performance Agreement. The required permanent full-time jobs created by the new business must be filled within 10 months of the date of the applicant's arrival in Canada and they must remain filled for at least 10 months, up to the date that the Final Report is submitted to the OINP. The Final Report along with supporting documentation must be submitted to the OINP in order to initiate the nomination process. Demonstrate CLB 5 or equivalent language ability. Federal admissibility requirements, including security and medical background checks, also apply. The Ontario Immigrant Nominee Program (OINP) Corporate Stream helps and supports established international corporations looking to expand into Ontario or buy an existing business. Once the business has been successfully established, key staff are eligible to apply for a provincial nomination certificate, allowing them to eventually become permanent residents of Canada. The principal applicant under this stream is the corporation's signing officer. Create five new full-time permanent jobs for Canadians or permanent residents per key staff member. Positions must be paid at or above the associated prevailing wage level. The positions must be continuously filled for at least 10 months prior to the submission of the Final Report (see Nomination). The corporation must preserve all existing permanent full-time jobs. In the two-year monitoring period, the corporation must demonstrate that all of the commitments outlined in the Performance Agreement are met to setup the proposed operations and support the ongoing business in order to be eligible for nomination. Only one key staff in a NOC A position can be proposed. Immediate family members include spouses, mothers, fathers, sisters, brothers, grandparents and spouse’s immediate family members. Be taking on permanent full-time positions in the proposed business in Ontario that meet the prevailing wage levels. Have a language proficiency equivalent to Canadian Language Benchmark (CLB) 5 in English and/or French. Ontario will not process applications where there is a risk of little to no long-term economic benefit to the province. Consequently, the proposed business cannot be included in the list of ineligible businesses. The principal applicant (the company signing officer) and all proposed key staff may be required to attend an in-person interview at the OINP offices in Ontario shortly after submitting the application. This interview serves to get a better understanding of the proposed business plan and the key staff members’ levels of experience. The applicant corporation is responsible for all transportation arrangements and costs incurred associated with the interview. Performance Agreements are unique to each corporation and are based on the information provided in the corporate application, the business plan, and the interview, if applicable. If the OINP is not satisfied that the business has successfully met the commitments outlined in the Performance Agreement, the key staff members will not be eligible to be nominated for permanent resident status. Once the corporation has signed the Performance Agreement, the OINP will issue a Letter of Confirmation, which enables the key staff to apply to Immigration, Refugees and Citizenship Canada (IRCC) for a temporary work permit. The temporary work permit will allow key staff and their families to move to Ontario on a temporary basis. NOTE: Temporary work permits are not issued by the OINP; the key staff must apply through IRCC. A temporary work permit is the official document issued by the government of Canada that allows a foreign national to legally work on a temporary basis in Canada. The corporation is responsible for submitting a Final Report, for which a template will be provided, between 18 and 20 months after the key staff arrive in Ontario with their valid temporary work permits. The report is required to initiate the nomination process and, therefore, can only be submitted after the OINP has completed the required monitoring of the business. In the Final Report, it is the corporation's responsibility to demonstrate that it has met all commitments outlined in the Performance Agreement. It is important to note that each key staff member is responsible for his/her own nomination eligibility (as outlined in the above Minimum Eligibility Requirements section). If one key staff does not meet all of the general nomination requirements, other key staff may still be eligible for nomination. Nominees who are successful in meeting all Performance Agreement obligations must apply to IRCC for permanent resident status within six months of being nominated by the OINP. The key staff’s application to IRCC must include a copy of the Letter of Nomination and a copy of the Ontario Immigrant Nominee Program Confirmation of Nomination document in addition to the application for permanent residence. If key staff are nominated for permanent resident status by OINP, the government of Canada reserves the right to deny their application for permanent resident status, based on inadmissibility to Canada (e.g. health, security, criminal or other inadmissibility). IRCC has the final decision-making authority for all permanent resident status applications. As of October 29, 2015, the OINP Investors Stream has been discontinued and is, therefore, no longer accepting applications. An investment must be made for a minimum of $3,000,000. The Ontario ministry at the Deputy Minister level must give an official endorsement to both the investment and the number of key positions requested to be filled by nominees from abroad.. The investment must also create at least five net permanent full-time jobs for Canadian citizens or permanent residents in Ontario. If employee nominees are requested for approval in addition to the investor, the number of Canadian jobs that must be created increases. The investment itself must comply with Immigration and Refugee Protection Regulations. The investor must be actively involved on an ongoing basis in the management of the business. The investor must also control, or will control, at least 33.334% of the business’ equity or make a minimum personal investment of $1 million in the business. The investor must not have the option of redeeming their investment until after a set period of time determined by the province. The investment in the business must be for reasons other than deriving interest, dividends or capital gains. Each position must meet the definition of a skilled occupation (defined as NOC 0, A, or B level by the government). Each position must also be permanent and full-time . The wage for each position must meet prevailing wage levels for that occupation in Ontario. No position may affect the settlement of any labour dispute, or affect the employment of any person involved in such a dispute, nor may any position adversely affect employment or taining opportunities for Canadian citizens or permanent residents in Ontario.